Coming from the education field, and having done work with a variety of brands like Rogers, Nature’s Path, Staples and Today’s Parent, Amanda (aka Digital Girl) has a wide range of experiences that have guided her to her passion of helping heart-centered entrepreneurs like YOU take charge of their online presence. Digital Girl is well known for her patience and enthusiasm provide her with the grace to work with learners of all levels. Many clients have said that having Amanda as their Digital Mentor is very much like having a digital business partner. She works with you every step of the way, setting you up for online success. 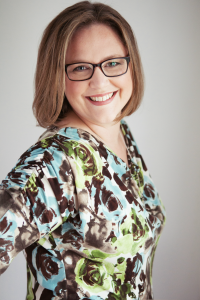 Amanda continues her passion for education (Bachelor of Education certified) through her popular Canadian parenting and lifestyle blog, Multi-Testing Mommy as well as a through her direct sales business as a Norwex Independent Sales Consultant. Amanda Gobatto is your Digital Girl and is excited to assist you with your online needs. Contact Amanda to see how she can help you with the online aspects of your business.